Here's where to watch every episode of Honey West season 1. Mouseover or tap an episode to see where to stream it. Click or tap the play icon to stream it on the best available service. The Swingin' Mrs. Jones Sep 17, 1965 Honey poses as a society matron in an effort to smash a blackmailing ring that preys on wealthy women. The Owl and the Eye Sep 24, 1965 In order to test a museum's security system, an insurance company hires Honey to steal a jade carving that they have insured. The Abominable Snowman Oct 1, 1965 A novelty salesman named Lucas hires Honey to deliver his sample case for him: Someone wants it badly enough to commit murder. A Matter of Wife and Death Oct 8, 1965 Someone tries to sink a ship carrying Honey and a woman who hired her after receiving anonymous death threats. Live a Little, Kill a Little Oct 15, 1965 When the sister of a prominent businessman breaks off a relationship with a local mobster, Honey and an assassin race to be the first to find her. 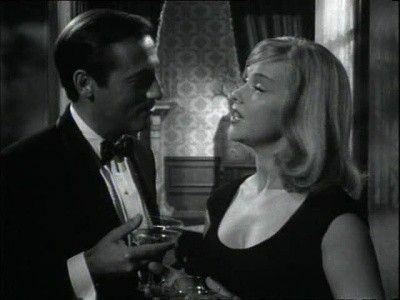 Whatever Lola Wants.... Oct 22, 1965 Honey's been hired to attend a charity ball with Ramon Vargas, and Ramon is dressed to killâ€”in fact,he has just committed murder. The Princess and the Paupers Oct 29, 1965 Honey and Sam are hired to ensure that ransom money is delivered and the kidnap victim, a rock-'n'-roll singing son of a millionaire businessman, is returned safely. Honey soon suspects that the kidnapping was faked, either as a publicity stunt or so the young man could lay his hands on some easy cash. In the Bag Nov 5, 1965 Honey manages to lose an obnoxious child she's escorting between divorced parents in a crowded airport. When security can't find the child, Honey fears the girl may have been abducted. The Flame and the Pussycat Nov 12, 1965 Honey and Sam attempt to capture an arsonist in order to earn a lucrative contract with a warehouse company backfires when they accidentally interfere with the police investigation. A Neat Little Package Nov 19, 1965 Honey and Sam are hired by a newsdealer with amnesia and $150,000 that he doesn't know how it came into his possession. A Stitch in Crime Nov 26, 1965 Honey and Sam are hired to deliver gowns valued at over $100,000 to a fashion show. When their cargo is hijacked, the detectives race to recover the garments before the program or else their employer, a new dress designer, will be ruined. A Million Bucks in Anybody's Language Dec 3, 1965 Honey investigates the death of a fellow private investigator found dead in an explosion. The trail leads to a set of counterfeit plates to be used to print phony British pounds. The Gray Lady Dec 10, 1965 While acress Nicole Bridou is being interviewed on TV, jewel thief John Abbott watches from her hotel room where he's pulling a heist. Invitation to Limbo Dec 17, 1965 An electronics firm hires Honey to find out how secret information has been leaking out. Rockabye the Hard Way Dec 24, 1965 Honey and Sam are hired to prove that a truck driver isn't a security risk and in the process tangle with spies who drug drivers driving secret weapons so they can take photographs while their victims are unconscious. A Nice Little Till to Tap Dec 31, 1965 Honey goes undercover as a teller to learn how gang of bank robbers avoids tripping the vaults' high-priced alarm systems. How Brillig, O, Beamish Boy Jan 7, 1966 Honey is faced with a dilemma when she's being paid to deliver a package with a half million dollars, but crooks kidnap Sam in order to trade his life for the money. King of the Mountain Jan 14, 1966 Honey poses as a nurse to investigate a secretive billionaire supposedly suffering from a rare biochemical defect. It's Earlier Than You Think Jan 21, 1966 A bullet-riddled collector hands Honey what appears to be an 1865 newspaper, which he hints is a forgery, but he dies before explaining how he knows. Honey and Sam must keep the paper away from thieves, deliver it to its rightful owner, and determine whether it is really a forgery. 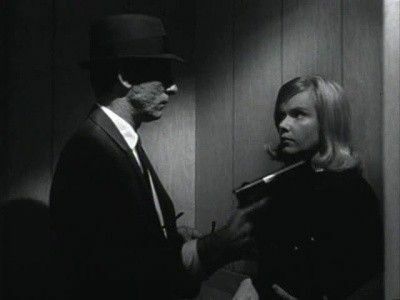 The Perfect Un-Crime Jan 28, 1966 An embezzler who has had a change of heart hires Honey and Sam to break into his boss's safe to return the money. Like Visions and Omens and All That Jazz Feb 4, 1966 A young socialite survives numerous "accidents" including a parachute that opens late and a near hit-and-run. Honey and Sam are suspicious when the woman's mother reveals that a psychic has predicted the accidents. Things really heat up when the socialite becomes the prime suspect after her ex-boyfriend is murdered. Don't Look Now, But Isn't That Me Feb 11, 1966 Thieves target Honey's client list using a decoy who looks almost exactly like Honey. Honey and Sam have to figure out how the thieves are getting to their clients and then set a trap to catch the gang. Honey particularly wants a face-off with her double. 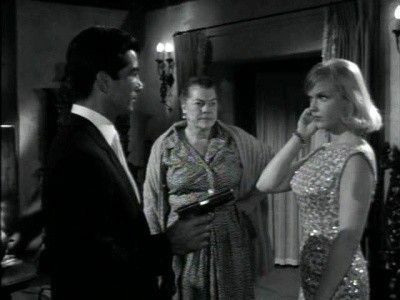 Come to Me, My Litigation Baby Feb 18, 1966 Although stymied when they try to get incriminating photographs of a man suspected of making a phony accident claim, Honey and Sam discover that the subject's accident witness, a seemingly sweet old lady, is suspiciously accident-prone herself. Slay, Gypsy, Slay Feb 25, 1966 When a wealthy man is kidnapped, Honey traces his whereabouts to a caravan of Gypsies whose leader, Darza, is more than he seems. The Fun-Fun Killer Mar 4, 1966 Honey and Sam must solve the murder of a toy manufacturer killed by an oversize toy robot made by his own company. Pop Goes the Easel Mar 11, 1966 On a bet, an art dealer and his 'Warhol-esque' client secretly place a can of soup with a hand-painted label on a supermarket shelf to see if anyone will buy it. 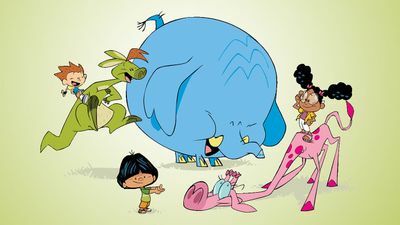 Not only is it purchased by Aunt Meg, but a punk immediately steals the can from her, leading Honey and Sam to believe that someone with inside information knew about the bet and plans to sell the can on the black market. Little Green Robin Hood Mar 18, 1966 Hired to protect a gated community after a rash of burglaries, Honey and Sam discover a deluded burglar who actually believes that he is Robin Hood. They decide to humor him not only because they fear he will only confess the location of the hidden jewels to someone he trusts but also because they suspect that someone is directing the weak-minded thief. Just the Bear Facts Ma'am Mar 25, 1966 After a stunt woman dies in a suspicious accident on a studio lot, Honey is hired to take her place as well as investigate her death. Soon Honey herself becomes the target of a series of so-called accidents. Sam also goes undercover wearing a bear costume. There's a Long, Long, Fuse A'Burning Apr 1, 1966 Honey and Sam try to establish a retired robber's innocence when a copycat uses his old m.o. of diverting attention with a bomb blast. An Eerie, Airy, Thing Apr 8, 1966 Sam's friend, Gordon Forbes, is threatening to jump from the ledge of his upper-storey hotel room, and the only person he wants to talk to is his estranged wife. Unfortunately, when Honey visits the Forbes home, she discovers Mrs. Forbes has been murdered.